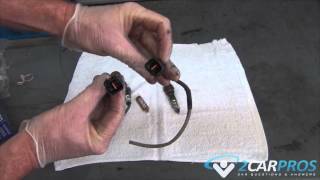 Step by step guide on how an automotive oxygen sensor works, this article pertains to most vehicles. 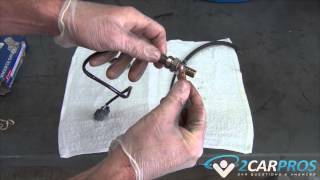 Step 1 - An oxygen sensor is an electronic component that is designed to measure levels of oxygen in an automotive engine exhaust system. Step 2 - Typically, the oxygen sensor is mounted to the exhaust system tube or on the side of a catalytic converter, with the sensor part inside the tube. This measures the oxygen mixture by generating a small amount of electricity due to the difference in atmosphere, oxygen and carbon dioxide. The computer PCM monitors this voltage and adjusts fuel delivery accordingly. Oxygen sensors can usually be found in the exhaust pipe near the engine (primary sensor) although sometimes they are mounted in the exhaust manifold itself where the exhaust pipe connects. Sensors found after or on the catalytic converter is the secondary unit. Step 3 - The sensor's job is to measure the amount of oxygen required to burn any fuel remaining in the exhaust stream and relay that information back to the computer PCM (Powertrain Control Module) where it is compared with other live information so that adjustments can be made to maximize fuel efficiency and power via proper air-fuel mixture and ignition timing in the engine. 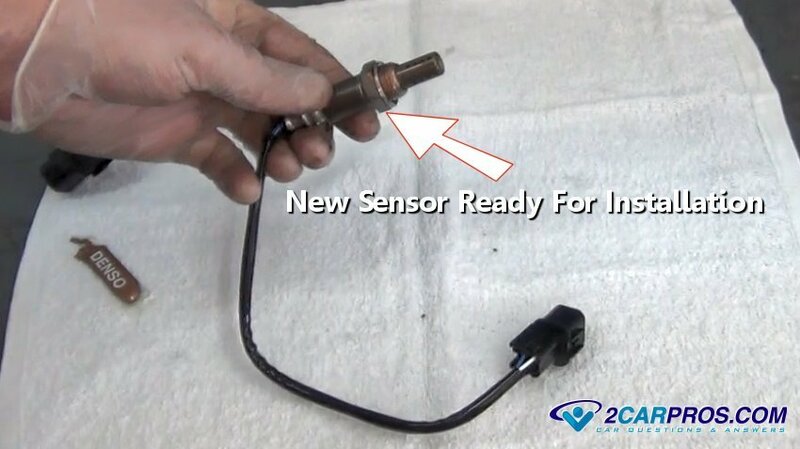 Oxygen sensors do this through a chemical reaction inside the sensor itself; in this article we will explain the evolution and application of this very important piece of the fuel injection puzzle. Oxygen sensors work through a chemical reaction. The core or element of the sensor is Zirconia ceramic with a thin layer of platinum. Since these materials are reactive and are applied as layers they will eventually wear out reducing their efficiency. Step 4 - The voltage created by the sensor is then relayed to the computer where it will compare it with other live information to make the necessary mixture and timing adjustments. The oxygen sensor is in continuous communication with the engine control unit giving it the information necessary to adjust fuel delivery for optimum combustion. Step 5 - When the engine is cold the oxygen sensor reads slowly, a heating element has been installed to correct this problem and help the sensor operate correctly until the engine has reached operating temperature. When these heaters fail it will cause the check engine lamp to illuminate. The number of secondary sensors will depend on how many catalytic converters the vehicle has. Oxygen sensors use a cycling of rich to lean mixtures to achieve a balance close to a stoichiometric mixture (ideal for internal combustion). Oxygen sensors are made of reactive materials which limits their lifespan. Aside from mechanical failures such as shorted heating elements or physical damage, these sensors will usually last around 80,000 miles. 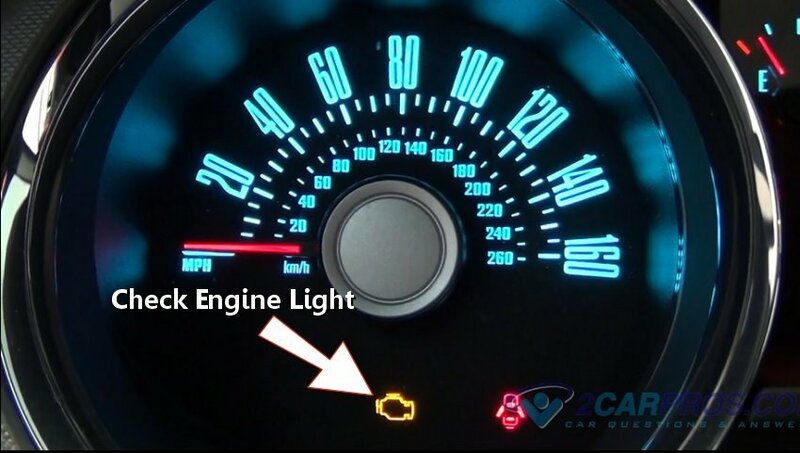 If an engine has a mechanical failure such as a head gasket (coolant) or an issue that causes oil consumption (rings, valve guides), it will drastically shorten the sensor's life. When replacing your oxygen sensor, be sure to use a high-quality OEM (Original Equipment Manufacturer) part. Cheaper sensors aren't as accurate and don’t last as long as an OEM sensor will, and can cause performance issues as well as emissions problems. 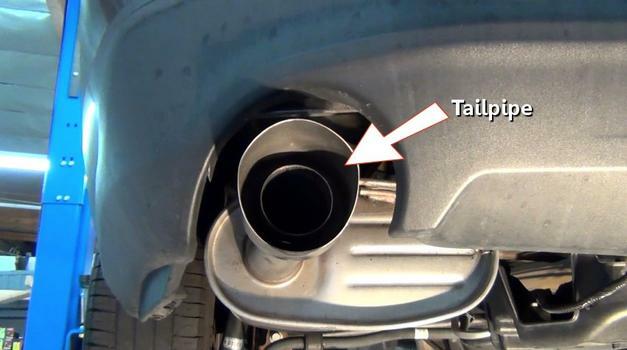 Vacuum leaks in the intake system, can give a false the sensor false readings and cause poor engine performance. As fuel injection evolved, so did the oxygen sensor. Evolving from a one-wire sensor that grounded through the outer case, to a four-wire sensor that grounds externally and a built in heater help the sensor perform properly when cold. 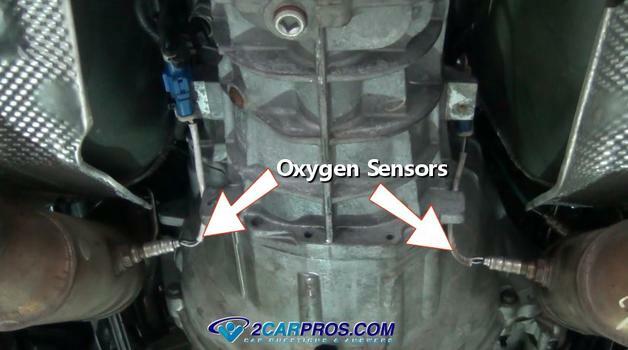 Oxygen sensors have been designed to measure the efficiency of the catalytic converter. 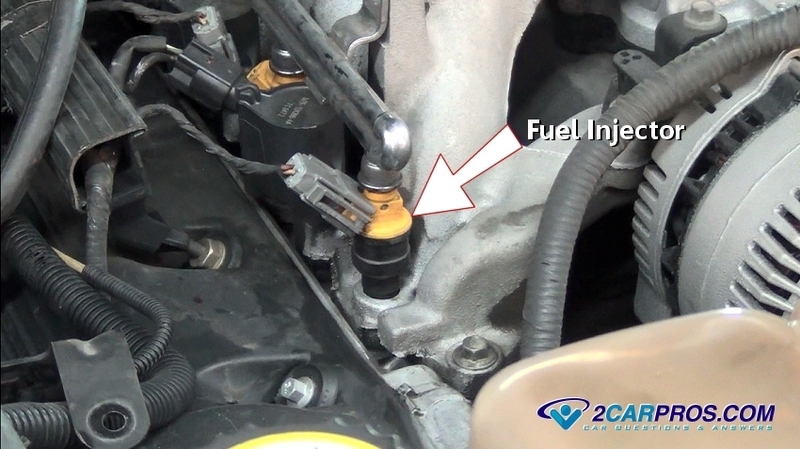 By placing an oxygen sensor in the exhaust system in front (Primary or upstream) of the converter and one behind it (secondary or downstream) the computer can see if the converter is reducing emissions as designed while it is adjusting for optimum performance. Early systems would use just one primary sensor and adjust the entire engine based on that reading, whereas newer fuel injection systems use many sensors to optimize the fuel delivery system. These early sensors had to warm up before they became active, which means they didn’t work until they had reached the operating temperature in the exhaust system. While extremely simple, they worked with the basic fuel injection systems of the time, which had extremely slow BAUD rates (rate at which information is processed in the computer) As technology improved, the sensors had to be improved as well.